This specific character was created for Universe 3001, which is my homemade game universe. It’s basically a combined DCU/Marvel campaign, and most of my focus is on the 30th and 31st century — hence the 3001 designation. This character is not from that century, though. The 26th century is an important period in my timeline, as it saw the rise of Apocalypse in World War V and his downfall in World War VI. These events take the place of DC’s Great Disaster and explain much of the lost knowledge and slowed technological advance between the 20th and 30th centuries. Wondergirl began life as a childhood character that I’d never actually written up. Back then, she and her brother (you know, the Wonder Twins!) were the children of Superman, each having half of his powers. I thought of them when writing a history for Powerpax 3001 and have recast them as 26th century characters. The Amazon connections were also suggested by that history. The illustration is a recolored version of Joe Singleton’s great redesign for Laurel Kent/Laurel Gand, from his Artistic License website. I love Joe’s original design (and will probably use it for Laurel Kent 3001), but the recolored version was best for Wondergirl’s history. Known Relatives: Jocon Kent (Wonderboy, brother), Lanis Kent (mother, deceased), Wayne York (father, deceased), Clark Kent/Superman (ancestor, presumed deceased? ), Laurel Kent (30th century descendant), unnamed Amazon (rumored ancestress, presumed deceased?). Group Affiliation: The Wonder Twins (of the 26th Century). Base Of Operations: Mobile; formerly Themyscira, formerly Poseidonis, formerly Gorilla City. Wondergirl has almost exactly half of Superman’s powers. Despite her fairly dilute Kryptonian DNA, her invulnerability, superspeed, super-vision (including Heat Vision), and super-ventriloquism all seem to be at more-or-less full Kryptonian strength. She shows no vestige of other Kryptonian gifts, such as super-strength, super-breath, super-hearing, or flight. Curiously, her twin brother has all the gifts she lacks, and none of the powers she possesses. This suggests that something more than simple genetics is at work. In any case, Wondergirl’s superspeed and invulnerability make her deadly in battle. And she has laser vision that can strike opponents from miles away. She’s also been intensively trained by her Amazonian tutors, making full use of her ability to learn at superspeed. Thus, she’s a remarkably skilled warrior for her age. She’s good at hand-to-hand and melee combat and learned in military tactics. Wondergirl has one half of Superman’s powers (invulnerability, superspeed, super-vision, super-ventriloquism), and her twin brother Wonderboy has the other half (super-strength, flight, super-hearing, super-breath). The one power they split is the fabled “super-brain”, which is really a misnomer. Neither possesses the genius intellect of Kal-El or Jor-El. Wonderboy has total recall, but Wondergirl has the superspeed that lets her process massive amounts of information in a short time. She has a super-brain in another sense, however. Super-Ventriloquism is really a wild telepathic talent. Basically, her thoughts are powerful enough for her to make others hear her. Thus far she’s not learned to receive as well as send thoughts, nor how to use her projected thoughts to reproduce the possibly apocryphal “super-hypnosis” effect. Elna Kent and her brother Jocon are direct descendants of Superman through their mother Lanis Kent. (By family tradition, the descendants of Superman keep the Kent name.) Their family heritage is fairly exotic, as baseline Terran, metahuman/mutant, Kryptonian, and one or two other non-Terran races are rattling around in the family tree. The siblings don’t know the truth of the rumors. An no-one truly knows the final fates of Superman, Batman, Captain America, Thor, the Captains Marvel, or Wonder Woman. The Amazons may know more, but if so they are silent on the subject. Elna and Jocon were born in the late 25th Century, during the rise of the New Canaanite Lord Apocalypse and in the midst of World War V. Lanis, with her partial Kryptonian powers, was a key fighter in the anti-Apocalyptian forces. She gave birth to the twins in her refuge at the Fortress of Solitude. But intel indicated that the general location of the Fortress might have been compromised. There were even whispers that Holocaust, one of Apocalypse’s Horsemen, might secretly be a renegade scion of the Superman family. So Lanis sought the safest haven possible for her children and their non-powered father, Wayne. Using a talisman stored within the Fortress to establish contact via “mental radio”, Lanis petitioned for her family to be given refuge in Themyscira, the Amazons’ city on Paradise Island. Queen Hippolyte herself spoke to Lanis, and surprisingly agreed immediately to take in the twins and their father. Whether this was because of respect for Superman, or because of the Kent families’ reputed Amazonian heritage, Lanis chose not to question this good fortune, especially with Hippolyte sending a squad of Amazon soldiers to reinforce the Alliance. Hippolyte placed the squad under the personal authority of Lanis and charged them to serve as personal bodyguards. While Lanis returned to the fighting, her husband Wayne took the twins to raise in Paradise. They were quartered in honor in the Royal Palace and like Lanis were assigned permanent bodyguards. As the twins grew, Hippolyte arranged for them to be educated by the Amazons’ finest tutors and warriors. She took an interest in them and taught many of their lessons personally. Lanis saw her family only four times during the next six years. After that last visit, she and her squad of resistance fighters were killed in battle with Holocaust and with Apocalypse himself. Wayne and Hippolyte comforted the children as best they could. At some point during that first night after their mother died, Elna dared to ask the Queen why she was so kind to them. Hippolyte said only that Amazons believed in truth, but some truths were too painful to be told before their proper time. Over the next two years, Apocalypse completed conquest of most of the surface world. Some of the cities of Atlantis remained free, and there were a few other hidden havens — including Themyscira. But Apocalypse had learned many secrets in his long life, including the access points between Earth and the pocket dimension containing Paradise Island. 24 months and two days after the death of Lanis, Apocalypse’s forces managed to pierce the dimensional walls despite the reinforcing psispells of the Amazon techno-sorceresses. The invasion of Themyscira was launched. Wayne was killed in the initial salvo, and the Amazon front lines were overwhelmed. Holocaust breached the palace and went for the twins. Moments before he would have slaughtered them, Queen Hippolyte, wearing the standard of her legendary daughter Diana, launched a desperate counterattack. Taking grievous wounds, she and her personal guard rescued the twins and momentarily beat back the assault. But seeing that defeat was inevitable, she and a platoon of volunteers sacrificed themselves fighting a rear-guard action while the twins and many Amazons escaped. That retreat was made through the Phantom Zone, made possible by Amazon improvements to Kryptonian technology brought by the Kent family. Portals through the Zone enabled the Amazon diaspora as they dispersed in small enclaves to places of refuge. Some went to Atlantis, some to Gorilla City, some to the interior of the Amazon jungle. Some even went to reinforce the telepathic society on Saturn’s moon Titan and others to the Inhumans’ city on the moon, Attilan. Hippolyte ordered that the twins not be removed from Earth, as the oracles prophesied that they were destined to be protectors of the planet. 20 elite warriors and scholars of the Amazon Sisterhood were given charge of Elna and Jocon’s safety and education, every one of them charged to guard the twins’ lives with their own. As Elna and Jocon’s powers had begun to emerge, it was hoped that they would be key warriors in an eventual revolution to topple Apocalypse’s empire. These Amazons took the twins back to the Fortress of Solitude, and managed to stay hidden there for nearly four years. When the twins were 13, Holocaust and the Purifiers came. The Fortress’s stealth screens were finally breached, and the surviving Amazons and the twins went on the run. Over the next two years, they were forced to be highly mobile. Any refuge they found was uncovered within months, sometimes weeks. They had a long stint in Tritonis, lived for awhile in Europe, hid in the rainforests of Southeast Asia, and took refuge in a hollowed out volcano in Antarctica (on the verge of the Savage Land of Skartaris , which Apocalypse had already conquered but only lightly garrisoned). Time after time they had to flee again, sometimes getting out just before their pursuers arrived, sometimes having to fight their way to freedom, each time taking casualties. Several times it was only the twins’ developing supersenses that enabled the small group to realize their danger in time. When the twins were 15 they were granted asylum in Gorilla City, by that time perhaps the last remaining free city on Earth. 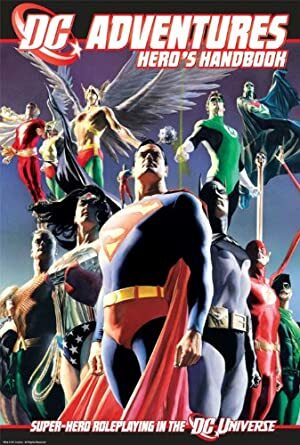 It was there that they had the resources to try and track down other branches of the Kent family, and there they discovered that all other known Earth-bound descendants of Superman had been killed, all since the fall of the Fortress. One of the super-ape technicians developed a theory. He thought that access to Kryptonian technology had allowed Apocalpyse’s scientists to develop tracking technology for Kryptonian DNA. No sooner had he advanced this theory than the alarm sounded — Gorilla City was being invaded. Most of the super-apes and the remaining Amazons were killed in the fighting. The Wonder Twins fought valiantly, refusing to flee, but the last two remaining Amazons finally convinced them to escape and continue to fight for all those they had lost. Some super-apes apparently survived, but will have nothing further to do with the Twins, blaming them for inadvertently revealing Gorilla City’s location. The super-simians are reported to have taken refuge in the hidden warrens of the B’rks, uplifted rodents in Central Africa. However, the twins have been telepathically contacted by a sisterhood of telepaths, including some surviving Amazons and Atlanteans, called the Clan Askani. 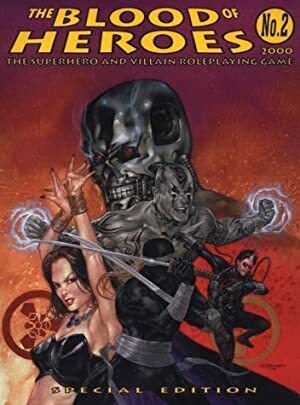 Their Mother Askani seems to be trying to unite what is left of the disparate factions that might stand against Apocalypse, and the descendants of Superman are destined to be keys to her plans… to ignite World War VI and cast down the tyrant Apocalypse. Fit, attractive, with black hair and blue eyes. She wears a bodysuit in blue and black. It resembles Donna Troy’s famous Wonder Girl uniform, but with the red shifted to Superman-blue, and with a full body covering. There is a starfield in the shape of a stylized “S” shield on her chest. Elna is a caring but stubborn and impatient young woman. She is brave to a fault, and tired of fleeing. She’s also tired of waiting and learning. Her superspeed powers have made her capable of accelerated learning but she is sick of talking rather than acting. She has suffered much loss in her life and believes she’s now powerful enough to do something about it. Despite the demons driving her, she affects a flippant, joking demeanor in battle. The Amazon’s martial culture has rubbed off on her…despite her father’s stories about the ideals of Superman, she’s willing to use lethal force against a deadly foe. Elna is extremely close to her twin, despite their different personalities. Air Control is Derived from Superspeed (-1), and requires her to be able to move. Heat Vision uses DEX for AV (-1 to +0, depending on House Rules). Superspeed must be activated (-1). This requires sacrificing a Dice Action, and her speed kicks in at the very beginning of the next Phase (early enough to affect Initiative). Her basic Initiative thus doesn’t include the Superspeed Bonus. Telepathy (“Super-Ventriloquism”) only allows the projection of thoughts, not two-way communication or mental combat (-2). She must be able to see the place or person where she’s projecting her ’voice‘ (-1). X-Ray Vision is blocked by lead (+0). Area Knowledge (Paradise Island, the Fortress of Solitude, Atlantis, Gorilla City), Gift of Gab, Languages (English, Atlantean, Kryptonese, Themysciran Greek), Lightning Reflexes, Leadership. Wonderboy (High), Powerpax 2600 (High), Amazons (High), Clan Askani (High), Atlantis (Low), Gorilla City (Low). Age (Young: 15), Pre-Crisis Universe 3001 Kryptonian Vulnerabilities Package. Universe 3001 is a Mock Real Genre. Pushing is automatically Fatiguing (using the RAPs from the Push attempt, not the total APs of Power, to measure Fatigue). Green Kryptonite (other forms are rumored but their existence is uncertain), range of 2 APs. Rapid Gradual Loss Vulnerability (All Attributes and Powers lose 3 APs per Phase). Attack Vulnerability (-4 CS OV/RV vs. Green Kryptonite attacks). “Red Solar Rays”, Range of 0 APs. Gradual Loss Vulnerability (all Attributes and Powers, after 48 hours without exposure to a yellow sun). Upon return to the influence of a yellow sun, powers are gradually restored at the same rate they were gradually lost. Attack Vulnerability (-3 CS OV/RV vs. Red Solar attacks). Partial Attack Vulnerability (Mystic-Linked attacks with Physical effects, – 6CS RV). Partial Attack Vulnerability (Mystic attacks with Mental or Mystical effects, -1CS RV). For clarity, this means that magically-created Lightning, Snare, or a magical sword would all activate the first Partial Attack Vulnerability, dropping her RV down 6 Column Shifts (to 04). Magical mind control spells or the like, with non-physical effects, would only activate the second vulnerability, causing her to lose just one CS from her RV. The combination of superspeed and invulnerability makes Wondergirl deadly in battle. Typically she’ll sub her Superspeed for DEX and use Martial Arts to sub for her STR, especially against groups. Against more powerful opponents she’ll sub her Superspeed for EV, or use her Heat Vision. Against large groups of powerful foes she may use Superspeed for DEX to make her Heat Vision more accurate, allowing her to Multi-Attack successfully. Against an overwhelmingly powerful force she’ll resort to Charge attacks using her running, spending HPs as necessary (either for offense or to LDD damage to herself from her own Charge). The Running/Superspeed divide has become pretty common in my campaign universe. Flash (Barry Allen), for instance, generally had Running of 25+ and Superspeed of 16-18. Superman has Running: 20 and Superspeed: 15. Source of Character: Homemade hybrid human/Kryptonian (for a DCU or DCU/Marvel campaign). Helper(s): Superman and Wonder Woman (but not that way… unless… ?). Also Darci, Azrael, and Sébastien (for the Heroic Heights and Weights entry on www.writeups.org). Writeup completed on the 17th of September, 2012.